Editor’s Note: Shepard Smith’s 3 p.m. 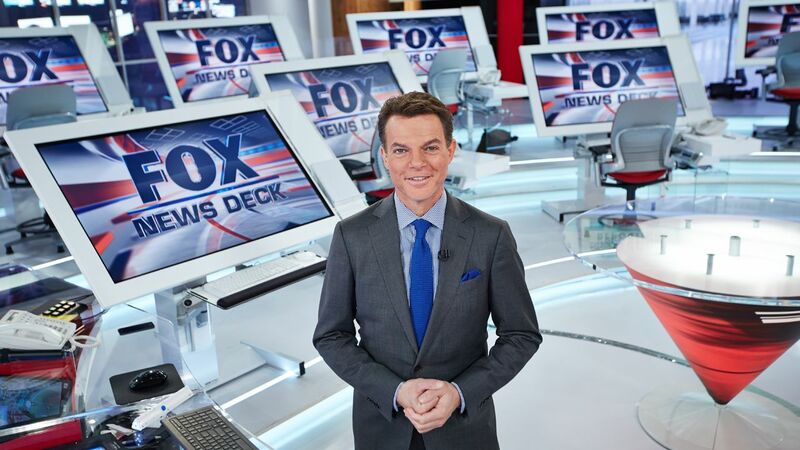 ET program, Shepard Smith Reporting (weekdays 3-4PM/ET) on FOX News Channel, marks its one-year anniversary next week on Tuesday, Oct. 7. The program is housed from the signature studio, “The FOX News Deck,” which acts as a command center fusing together incoming real-time news feeds, digital media newsgathering and social media – all while utilizing advanced state-of-the-art technology. 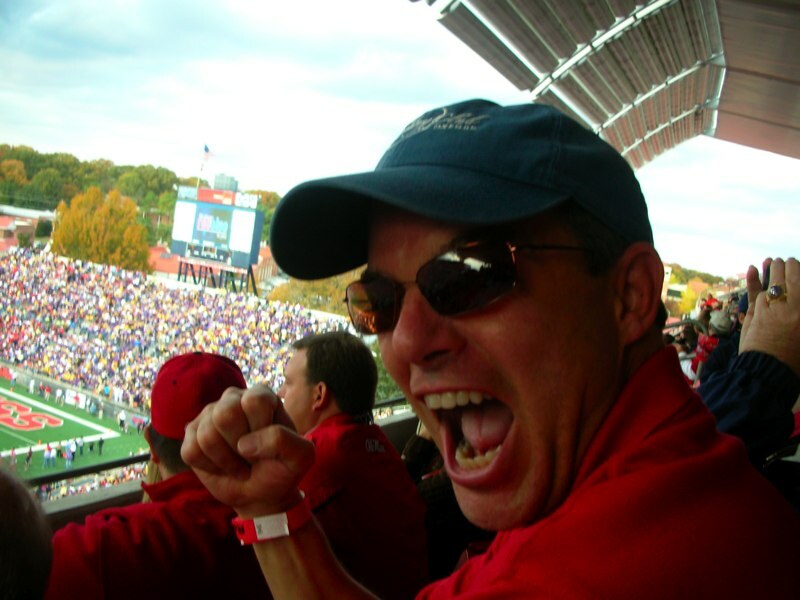 Note from Steve Vassallo, HottyToddy.com contributor: Speaking on a national level, Shepard Smith has become the number one “cheerleader” for Ole Miss and the state of Mississippi. The successful news anchor for the Fox News Channel has made his passion known for the Rebels and do we Rebel Fans ever enjoy the non-ending references to our beloved Ole Miss! “Shep” was in Oxford this week doing what he does best…informing the world of major news stories while “slowing down” in his home away from home (New York City). HottyToddy.com — Shep, to begin with thank you for taking time out of your schedule to talk with us as we truly appreciate it. We understand that you are broadcasting from Oxford this week. Will this be a common occurrence looking forward? Shepard Smith — It will be from time to time. I love hanging out with my family and enjoying Ole Miss sports whenever my schedule allows. I wanted to be in Oxford for the Memphis and Alabama games and I hope to make some baseball series in the spring. HottyToddy.com — Your support and interest in Ole Miss has been a bright spot for Ole Miss alums and fans for quite some time. At what age did you develop this passion for the Rebels? Shep believes Oxford and Ole Miss can be a shining example to the nation. 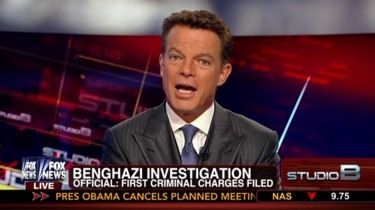 Shepard Smith — Birth. The Rebels were in my house growing up with a picture of Archie above my bed. My dad would take the family in the station wagon to the Grove. It was a wonderful experience. Being a Rebel is not the easiest route to take among the fan bases. I can recall attending games when there were only 25,000 in attendance and plenty of seats. Now we are “up there” with the elites. I am so proud as this is as good as it gets! HottyToddy.com — I worked in NYC for four years in the 80’s and had to make many adjustments living in the northeast. Has living there been a major adjustment for you? HottyToddy.com — The game here this Saturday is huge as the nation will be watching the Rebs closely. In your mind how “big” is this game for Ole Miss and Oxford? Shepard Smith — There has not been a bigger weekend (or as large) in Ole Miss athletics since the 2003 game with LSU or possibly the game in South Carolina. This is a great moment for us. This is our arrival! HottyToddy.com — You apparently like this town a great deal. What do you enjoy most about it? Shepard Smith — Oxford allows me time to relax and do things with my family. I enjoy the quirkiness of this town, walking around the campus, having nice meals and not hearing a horn blow after the light turns green. HottyToddy.com — Turning back to football, where do you see our team at the end of the year? Could we be considered for the final four playoff or is this being too unrealistic at this early stage of Coach Freeze’s tenure here? Shepard Smith — It is not unrealistic. We match up well with Alabama and this is a good time to play them. Should we win, Aggieland will not be looking forward to our arrival. A victory Saturday would get quite the monkey off our back. The moment is bigger than we are. I hope we do well and move forward. 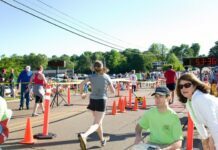 HottyToddy.com — Outside of your love for Ole Miss and Oxford, what are your hobbies and interests that motivate and inspire you? Shepard Smith — I play a lot of tennis. I enjoy the beach, traveling and attending shows in the city. I am regularly attending sporting events at Yankee Stadium as well as other stadiums and arenas. I like bringing people here as they are astounded by the sheer beauty of Ole Miss and Oxford. Everyone is so impressed with all our focus on the Rebels. I get asked often is this all we talk about? I truly like showing this place off! Ole Miss is a great hope for public education and raising the bar throughout Mississippi. How do we thank Shepard Smith for being our “greatest fan” and all he does to bring attention to our beautiful state and campus? What I admire most about Shep is his passion for something he has held dear since childhood…Ole Miss…and his desire to see it become the best of all worlds. His success on the world stage is an inspiration for everyone and especially our journalism students interested in following a similar career path. Throughout all of this he has never “lost” his love for small town America. We are so grateful that he is a “Rebel at heart” and when he cannot be here in person pulling and yelling for our team, he is definitely here in spirit! Thank you Shep for all you have done and continue to do to in making Ole Miss, Oxford and Mississippi a greater destination! Great report on Shep. I have been following Shep on fnc since 2002. Love his reporting and I am so impressed with his love for his hometown and his family. I am totally perplexed how Shep continues at FOX, being the outed homosexual that he is. For a queer to be a regular hour-long commentator on the news is simply hard to believe. He spends an hour a day trashing Trump and promoting and supporting Democrat policies and actions. The moral equivalent would be for MSNBC to give an entire hour per day for a Christian Fundamentalist anti-evolution, anti-climate change person to spend the hour trashing Nancy Pelosi. So, in view of which of these reflect the current reality, I would say that only FOX is fair and balanced news, even if that “balance” is a flaming queer [their own word, not mine].